Our firm specializes in assisting both public and private sector clients to achieve markedly improved outcomes in safety, security, and perceptions of safety. Our mission is to help our clients deliver superior, cost-effective, and lasting security services and limit liability for criminal acts. WE COMBINE CUSTOMIZED TECHNOLOGY WITH INNOVATIVE CONSULTING SERVICES TO PROVIDE SAFETY IN A WIDE RANGE OF PUBLIC AND PRIVATE ENVIRONMENTS. LET'S DETERMINE HOW BEST TO FIT YOUR NEEDS, BUT BEFORE THAT, WE INVITE YOU TO REVIEW OUR PRODUCTS. 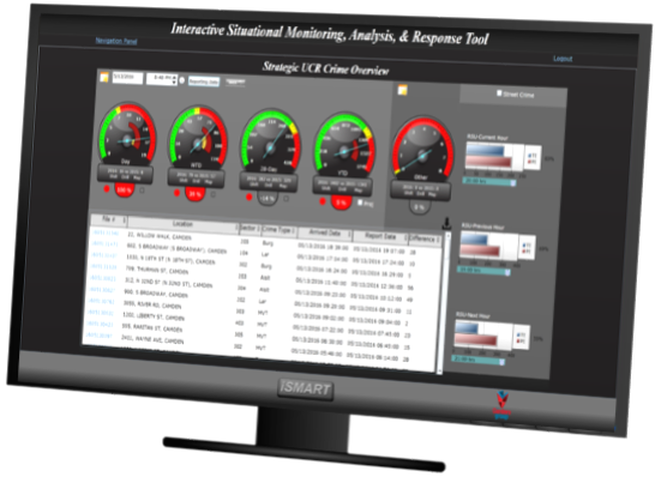 The iRMC is a powerful resource, workload, and performance management tool that combines real-time resource tracking and performance monitoring to identify ongoing opportunities for optimizing the use of available resources, extending the reach of agency resources, and executing agency strategy. Public safety is your agency's number one priority. Luckily, the latest tech is here to support you when life depends on a quick response. The Cordero Group developed the Light-Based Intervention System (LBIS) to help law enforcement and security agencies prevent and disrupt crimes remotely with fewer resources. The Interactive Community Alert Network (iCAN) is a patented system that unites citizens and security forces in preventing crime and improving the quality-of-life in residential neighborhoods and commercial areas. iCAN provides citizens and businesses instant online contact with law enforcement or security forces, and the ability to anonymously report, and for law enforcement to view, suspicious activity or quality-of-life problems in real-time. AED is a patented system that reduces emergency response times by transforming time-consuming dispatch activities into an automated transaction that takes just seconds to complete.